Chevrolet's new 2016 Malibu will make you seriously reconsider what you have always thought about hybrids. Chevrolet fans have been anticipating the release of the 2016 Malibu Hybrid since it was announced earlier this year, and auto enthusiasts can’t seem to stop talking about the new car. According to a report from Tech Times, the car will go on sale next year at a starting price of $28,645, with a $875 destination charge. The Malibu Hybrid is poised to seriously shake up the existing hybrid market. It will go up against the likes of the Hyundai Sonata, the Toyota Camry, and the Ford Fusion. While the Malibu has been a mainstay in Chevy’s lineup for decades, the 2016 version is one of the first to use innovative new hybrid technology. 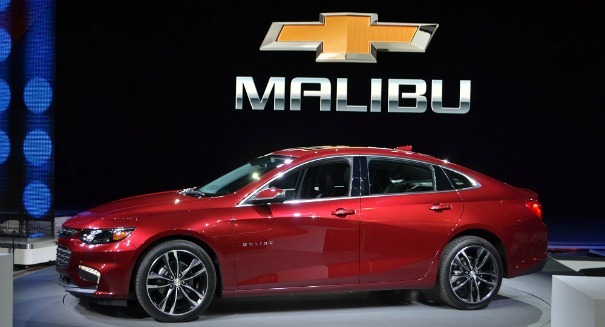 Chevy’s 2016 redesign of the Malibu will be the first model in its class to use full gasoline and an electric motor. The new model improves upon Chevy’s previous lite-hybrid Malibu models, which relied heavily on regenerative breaking and a tiny electric motor. Despite the design for efficiency, drivers were left disappointed with the overall performance of older Malibu Hybrid models. The new Malibu still boasts a high level of fuel efficiency, getting roughly 48 miles per gallon. The new car will drive more like traditional Chevy models, with the hopes of persuading motor enthusiasts to make the switch over to a high-performance hybrid. According to Steve Majoros, the director of marketing at Chevrolet Cars and Crossovers, the new design uses knowledge and technology developed during the production of Chevy’s first full electric car, the Volt. By using certain technologies from the volt in the Malibu Hybrid, the company hopes to reach consumers around the world who want a powerful ride with minimal environmental impact. The car also boasts a range of autonomous features, including Lane Keep Assist, Front Pedestrian Braking and Low-Speed Front Automatic Braking. A press release from Chevrolet describing the new Malibu Hybrid can be found here.